Our production needed to provide the Gerber file, BOM, coordinates (Metric), such as special instructions please file format e-mail or qq send our pickup. Our company is based on the BOM table for the quasi production. Please all customers to provide us with the production must ensure the correctness of the BOM table. We do not accept the model as a quasi production, and do not accept some of the BOM table in the form of reference to the model to produce. If there are special components (non-standard welding requirements) can not be described by the BOM text can provide process picture description or the actual model as a reference. If we do not assume any responsibility for the BOM documents provided by your company. Caused by the stop or rework will be our business with your company to discuss the cost of rework. Division I as a processing specially set up incoming inspection (IQC), the specific content of the test with material values (resistance and capacitance measurement, other materials currently could not be measured) and material specification is consistent with the BOM and device appearance has not damaged, the device type marked with BOM shall be consistent with the requirements, the naked eye can judge the oxidation. The actual material specifications and FPC/PCB pads are the same. 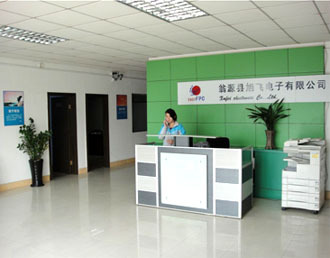 Xu Fei Electronics Co., Ltd., formerly known as Foshan high Mingxu fly flexible circuit board Co., Ltd., registered in Foshan Gaoming District Administration in June 2004, with the purpose of "loyal, dedicated" spirit of enterprise, long-term work in the field of circuit board manufacturing, after ten years of rapid and healthy development, has begun to take shape, 2006 in Panyu District of Guangzhou city set up Guangzhou Xu Flying Electronics Co., Ltd., 2009, Wengyuan County, Shaoguan City in the establishment of Wengyuan County Xu Fei Electronic Co., Ltd.. Company's existing plant and office area of nearly 4000 square meters, the introduction of a full set of the whole process of advanced circuit board equipment, at present, the existing staff of more than 300 people, the company by 10 years of experts and the prime of life, the industry elite struggle in the PCB industry constitute core technology. Has formed a rigid PCB board, flexible FPC, metal based MCPCB research and development, production, sales, service and other complete supporting system. For the microelectronics manufacturing industry: mobile phones, MP3, laptop, LCD display module, a touch control and other industries to provide flexible flat cable and system solutions. Energy for the LED industry: high power lighting, stage lighting and other industries to provide the heat for the heat transfer of the metal base circuit board. Can provide inexpensive circuit board solutions for the traditional electronics manufacturing industry. Xu Fei will work with you to join hands in creating a better future. Pay attention to the long-term interests, to reject the short-term behavior. According to market demand to organize production and operation, reduce costs, improve efficiency, increase efficiency, achieve enterprise, customer, and social win-win. Taking the customer as the center, focusing on the customer's needs, constantly improve the existing processes and existing technologies, fully interpret customer information, to provide customers with better quality, more reasonable and more economical solution. To maintain a fair, just and open manner to obtain a reasonable profit from the business environment, which is composed of a win-win relationship. People oriented, manufacturing products, creating wealth, achievement of employees, the return of society. Take quality as the root, take the customer as the center, take the good faith as the life, take the environmental protection as the responsibility. 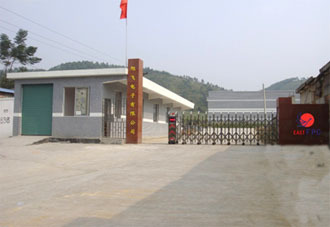 Wengyuan County Xu Fei Electronics Co., Ltd.
Guangzhou Xu Fei Electronics Co. Ltd.